Looking for Pest Control? 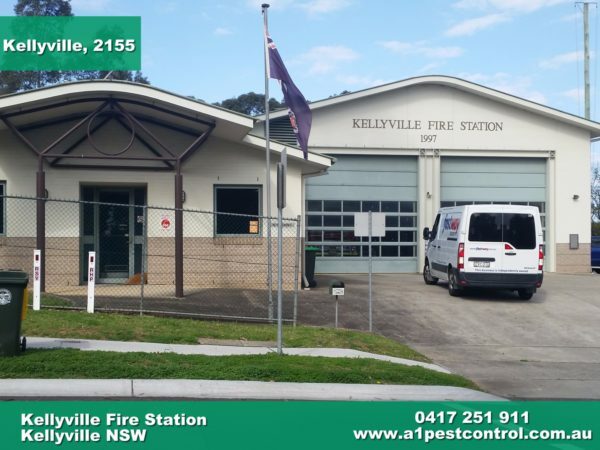 Kellyville is only a ten minute drive from our office (we live and operate in Bella Vista) and has been our service area for well over 35 years. We have been successfully treating Bed Bugs, Bee Removal, Termites, Spiders, Cockroaches and Ants, all with low toxic treatments. This leafy area of the Hills District in Sydney NSW has been growing constantly over the last decade and is only getting more and more attractive from a real estate point of view as more people pour in. The area is quite lush and still has many empty lots of land where investors and property owners have yet to build anything. Though this gives it a more rustic nature it also means that there is a higher volume of pests, predominantly rodents and cockroaches, that are commonly sighted in the area. 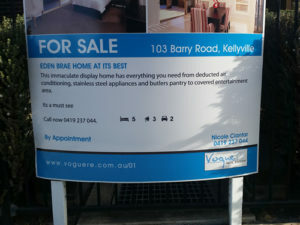 See our recent interview in a local property with Nicole Ciantar at Vogue Real Estate on End of Lease Flea Treatment Tips. Your home in this suburb, is well protected as you can see by the fire station below. Bruce Gow actually worked in this station as a proud member of the NSW Fire Brigades, rising to the rank of Station Officer in 2007. 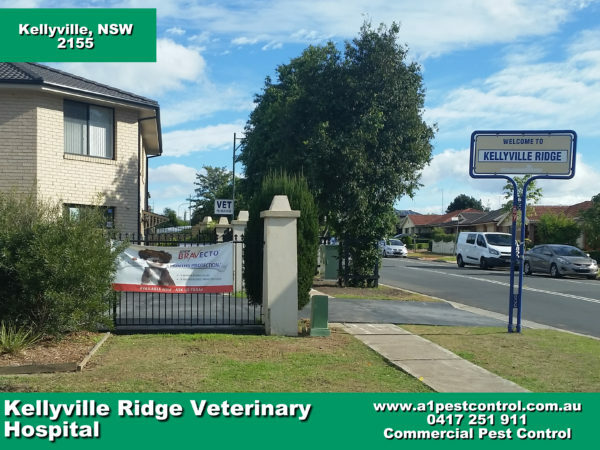 A1 Pest Control is conveniently situated less than 10 minutes drive in Bella Vista, and has been protecting homes and commercial properties for decades now for many tricky pest situations. The fire station is now permanently manned 24 hours per day. 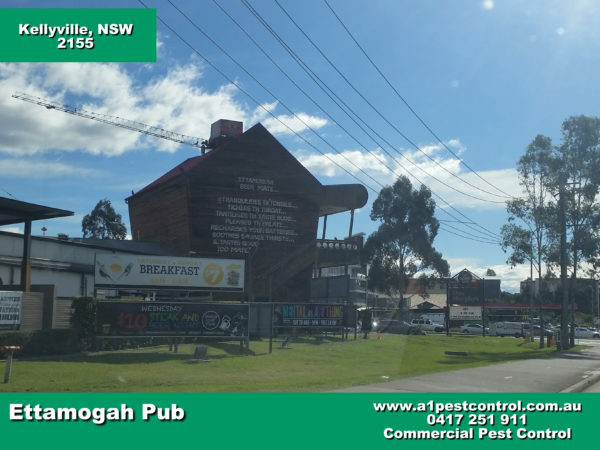 The Ettamogah Hotel/Pub opened in 2003 and has been providing fantastic service, food, and family recreational facilities ever since! Ken Maynard started drawing this iconic pub in The Australasian Post back in 1959. Ken died from liver cancer in 1998. 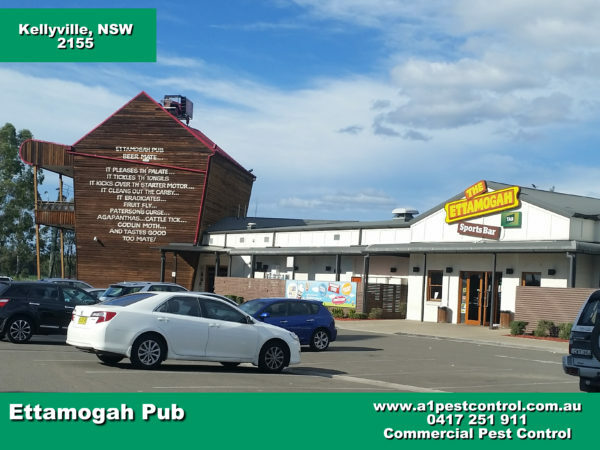 There are now three other Ettamogah pubs in Australia, the original in Albury, NSW, one in Caloundra, Queensland and one in Cunderdin, Western Australia. 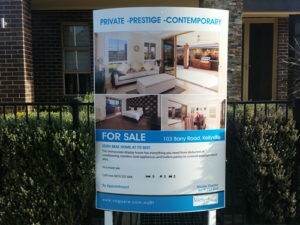 Surrounding suburbs include Rouse Hill, Castle Hill and Bella Vista. 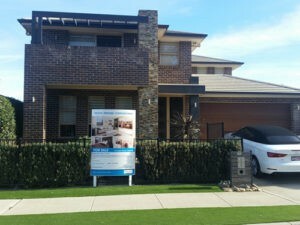 It is a suburb of Sydney, in NSW, Australia. It is located thirty-six kms north west of the Sydney CBD in the LGA of The Hills Shire, which is part of the Hills District locality.